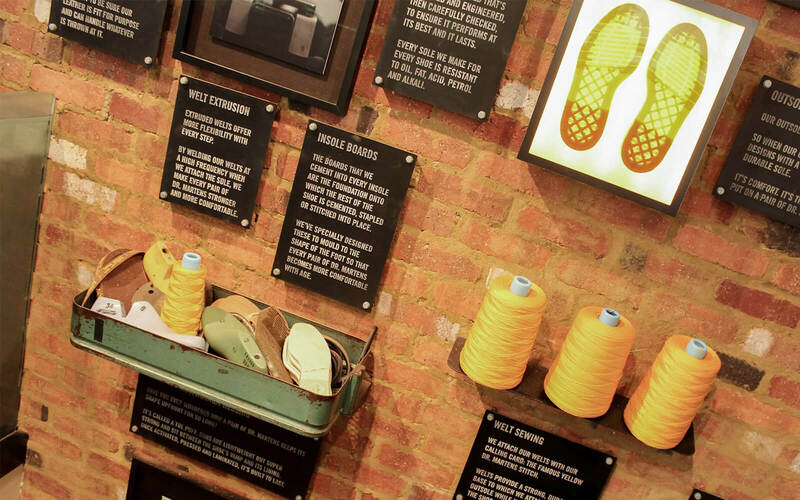 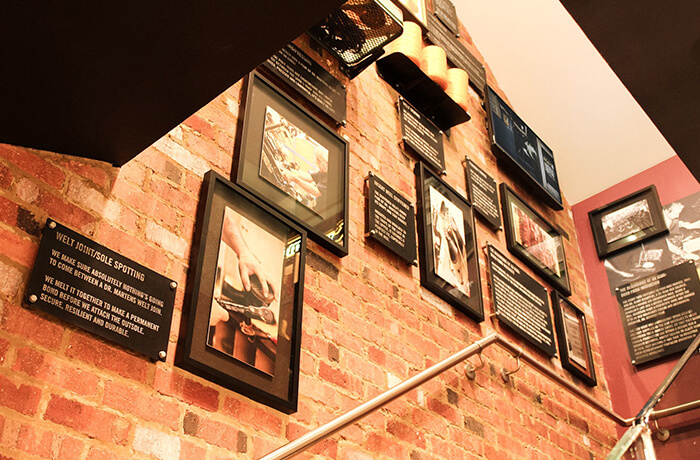 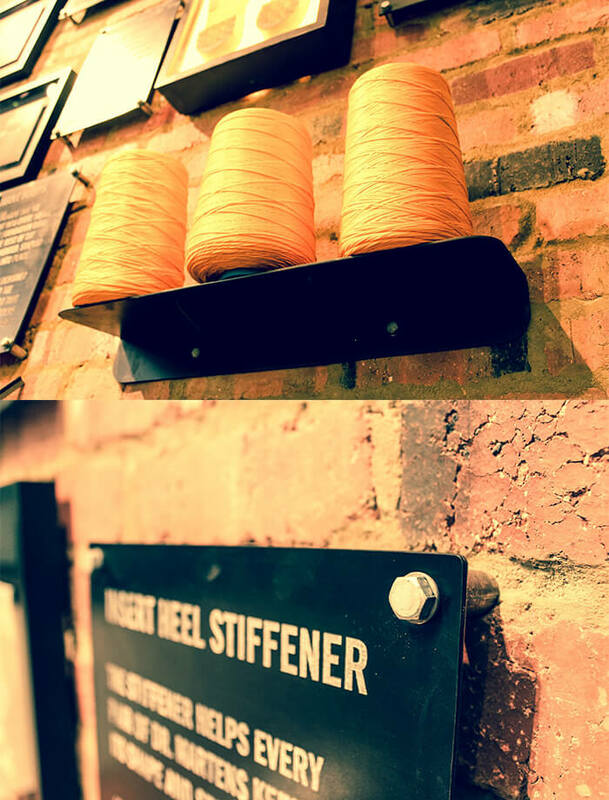 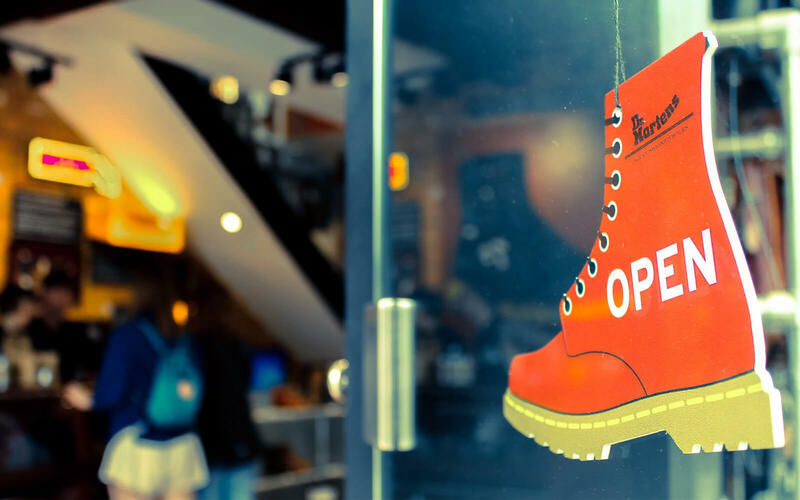 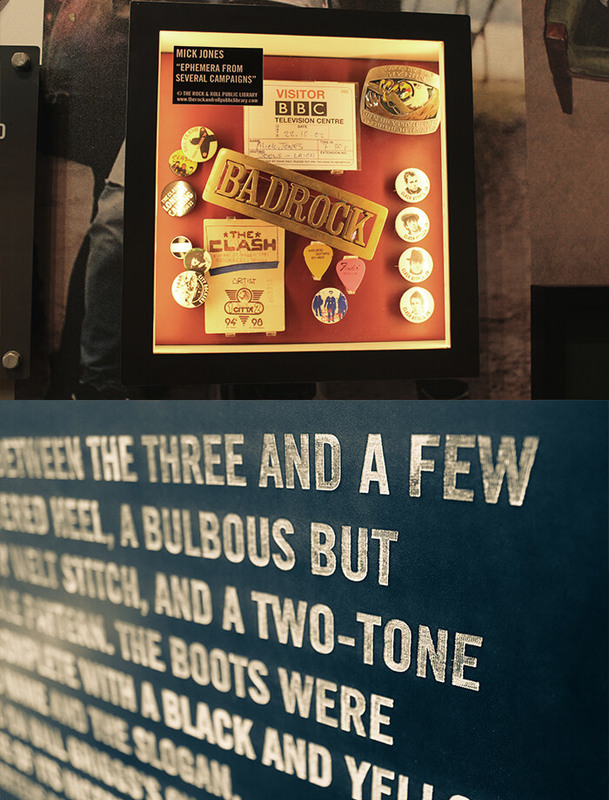 For the new Dr. Martens flagship store on Oxford St, we wanted to tell the story about this historic brand through a combination of written words, visual storytelling and real artefacts from the brand’s history and Cobbs Lane Factory. 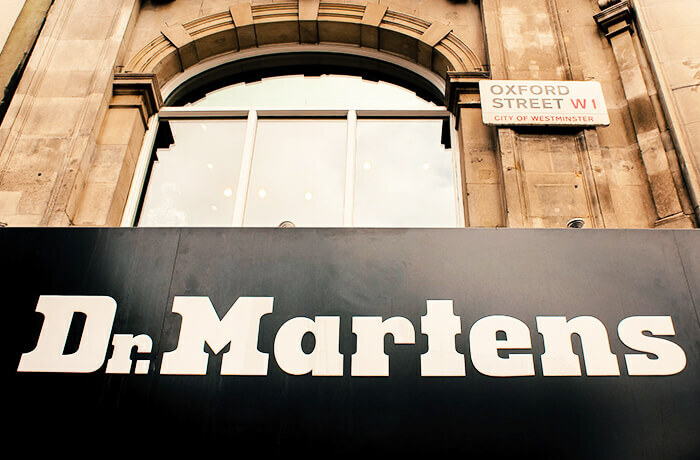 To tell this story, and in keeping with Dr. Marten’s tradition of hand crafted footwear, every item on the stairwells was hand built, bespoke for this store. 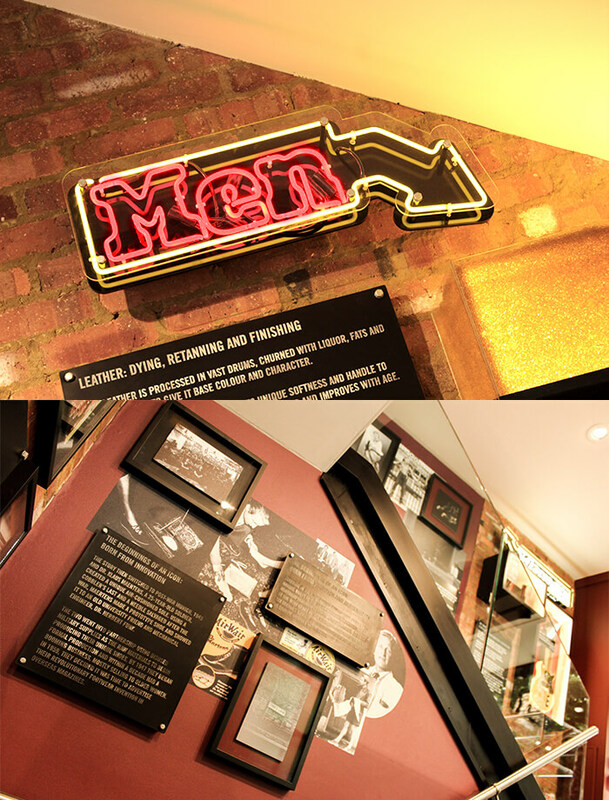 Highlights include leather faced panels which have been laser etched and then hand-rubbed with shoe whitener and wax; picture frames which have been individually mounted with specially selected cuts of leather straight from the factory; and bespoke neon signs which have been hand-formed and mounted. 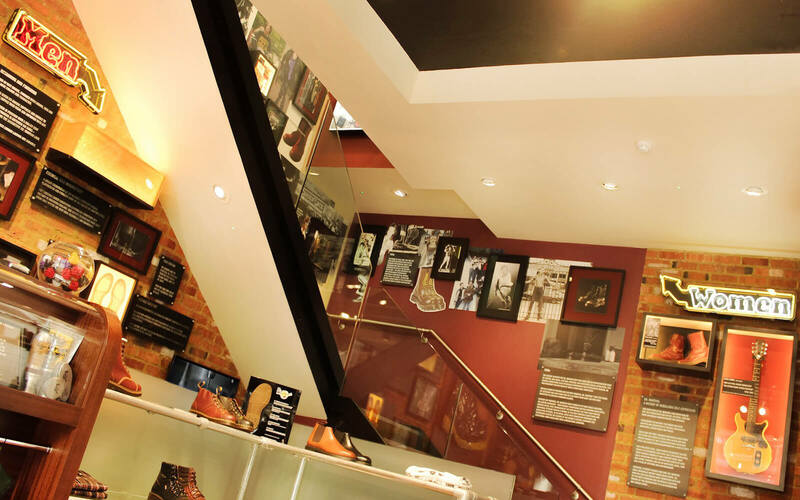 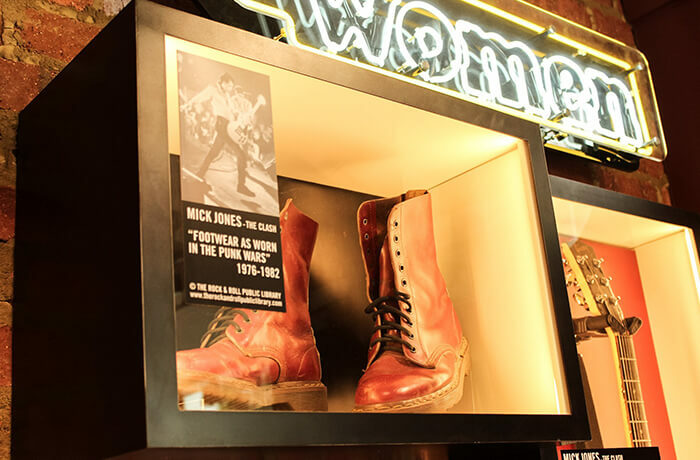 For the finishing touch, we curated genuine priceless artefacts on loan to Dr. Martens from the personal collection of Mick Jones, including two pairs of his Dr. Martens boots and his 1958 Les Paul Junior Doublecut guitar. 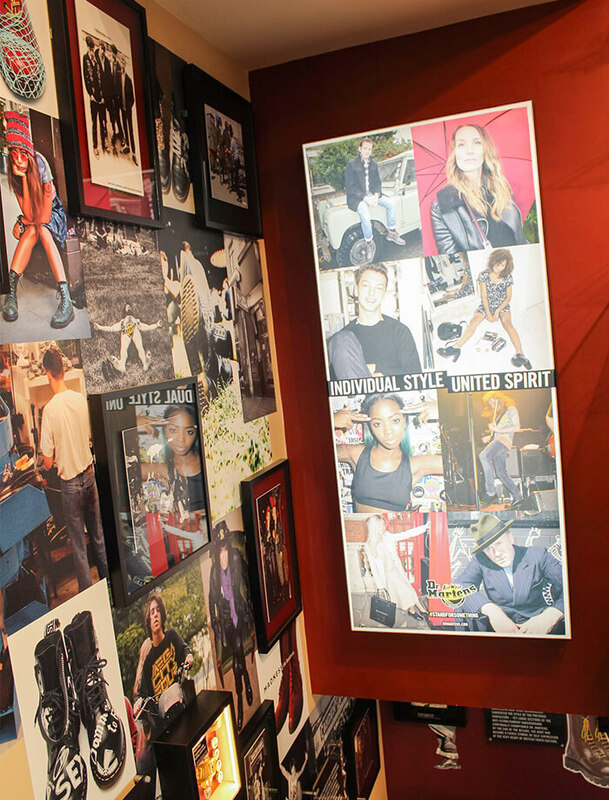 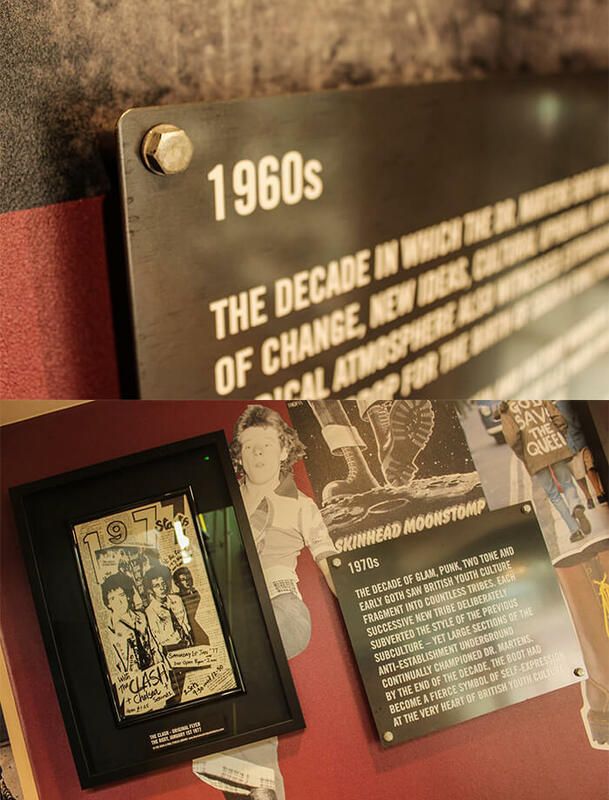 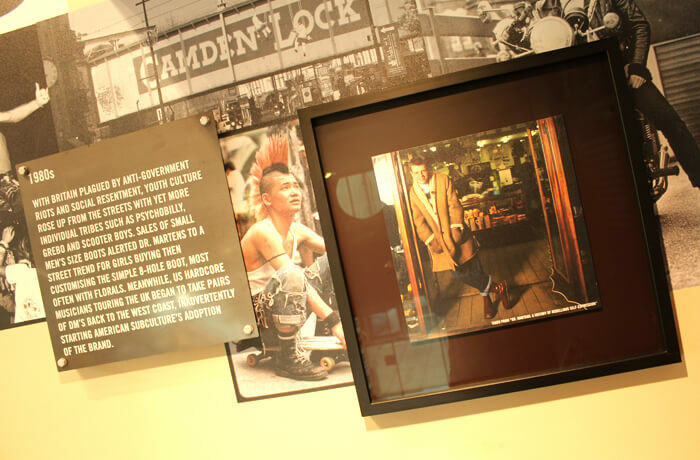 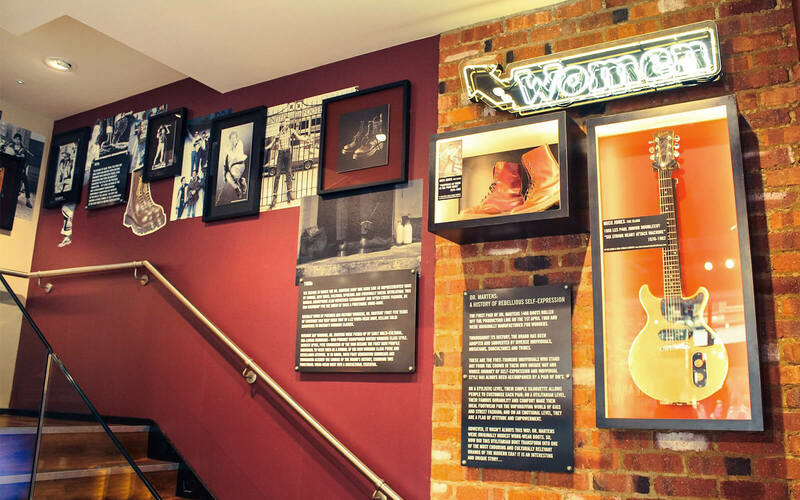 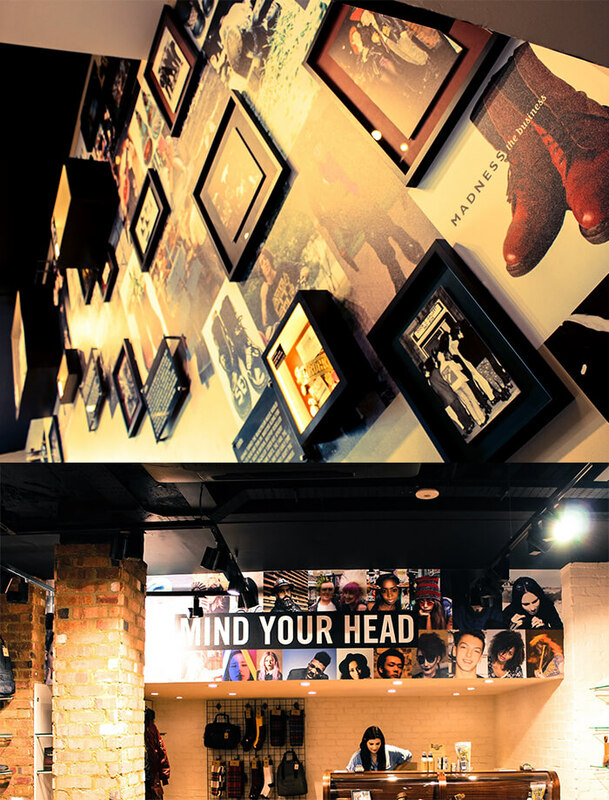 These items are displayed within bespoke illuminated display cases, and further cement the inseparable relationship between Dr. Martens and the British music scene.